Ted Baillieu might now be regretting his decision to preference Labor ahead of the Greens. In Western Australia, the Liberals and Greens have come to terms. Denis Napthine should consider doing the same. Why did the Liberal Party cut Ted Baillieu loose? You have to examine the factional background of conservative forces in Victoria. The Right rump never much liked him. 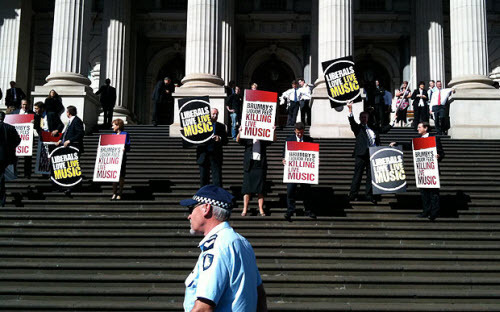 Crikey can reveal the Victorian government today will announce significant funding cuts in its arts portfolio. Smaller companies will be hit hardest. Ted Ballieu's honeymoon period appears to have conked out barely a year after his government took office. The latest Newspoll gives the Coalition in Victoria a delicate two-party lead of 51-49, reports William Bowe. Ted Baillieu: does Big Ted have the ticker to govern? Under normal conditions, the Premier of Victoria should be the most powerful figure in Melbourne. But Ted Baillieu isn't, writes Andrew Crook. The Emergency Services and State Super has spent nearly $1 million employing more than 20 consultants to review its management and business strategies, writes Ross Williams. Labor’s primary vote of 28 percent in Victoria offers the party new cause for woe: they have now had results in the twenties federally and in all five states covered by Newspoll, writes William Bowe. 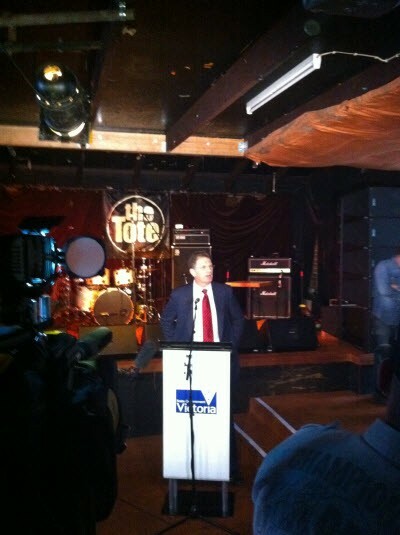 Victorian Premier Ted Baillieu draped himself in the iconic Melbourne music venue The Tote's mythical sticky carpet to ram home his message that Liberals "love live music". Victoria’s 2011 duck shooting season finished this week. By allowing a twelve week season this year, the Baillieu government unnecessarily risked the future of our vital wetlands regions, writes Mark Argyle. The Victorian rock and roll community is reeling in the wake of yesterday's state budget, which saw funding for the contemporary music sector slashed by 56% and the popular FReeZACentral program abandoned.